Join Daniel Flanzig as he returns to these recent decisions and how they will impact bicycle litigation practice. The course re-visits the practical aspects of handling a “dooring” crash in New York including framing a complaint, deposing the exiting driver or passenger and coverage for the claim. Further, Daniel discusses preparing a client for depositions, trial and recognizing various defenses. Lastly, the course touches upon Municipal liability for road defects including investigation of a claim and governmental immunity. This course is a must for anyone who represents New York cyclists. Daniel Flanzig lives and rides in New York. He is the firm's lead trial attorney litigating cases in New York City, Nassau, Suffolk, and in the Eastern and Southern Districts of the United States District Courts. He has obtained multiple verdicts and settlements in excess of a Million Dollars on behalf of the firm's clients. Mr. Flanzig has been quoted in the New York Times, The New York Post, The Daily News, Long Island's Newsday, as well as The New York Law and National Law Journals, offering his expert opinion on personal injury cases and his opinion on "Bike Law" in New York. He has appeared on News 12 Brooklyn, News 12 Long Island, Channel 11 News, CBS News, Univision 41, and other national and international news outlets with regard to high profile cases the firm has handled. He is the founder and Chair Person of the New York State Trial Lawyers Bicycle Ligation Sub-Committee. 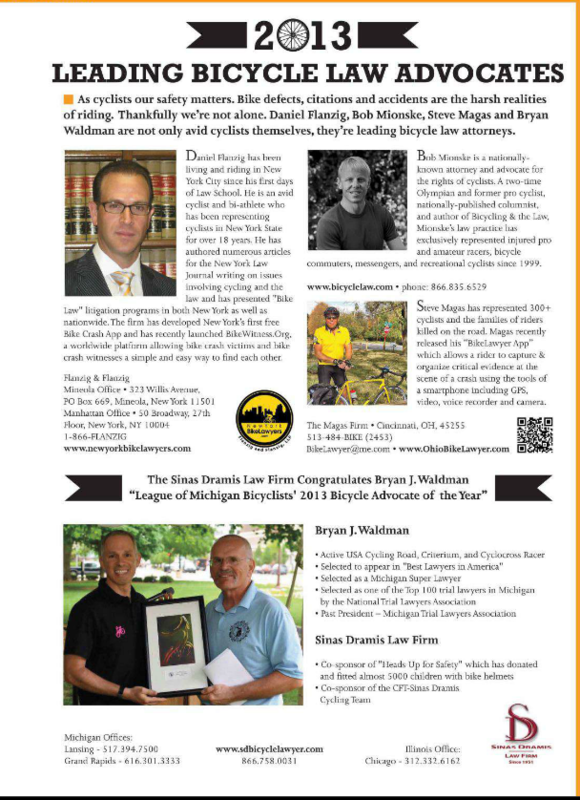 Mr. Flanzig serves on the Board of Directors of the New York Bicycle Coalition where he offers legal commentary as well as crash advice in his monthly column “Wheels of Justice”. Mr. Flanzig is a contributing writer for the New York Law Journal "Outside Counsel" column writing on cycling and the law. He is a member of the American Association of Justice - Bicycle Litigation Group - a nationwide network of "Bike Lawyers" sharing and exchanging information. Mr. Flanzig has presented multiple CLE ( continuing legal education) lectures in New York on the handling of a bicycle crash case educating other attorneys on how to properly and effectively prosecute a case. Daniel was recently invited to speak at the AAJ's National Annual Convention regarding bike crash litigation as an emerging area of practice. 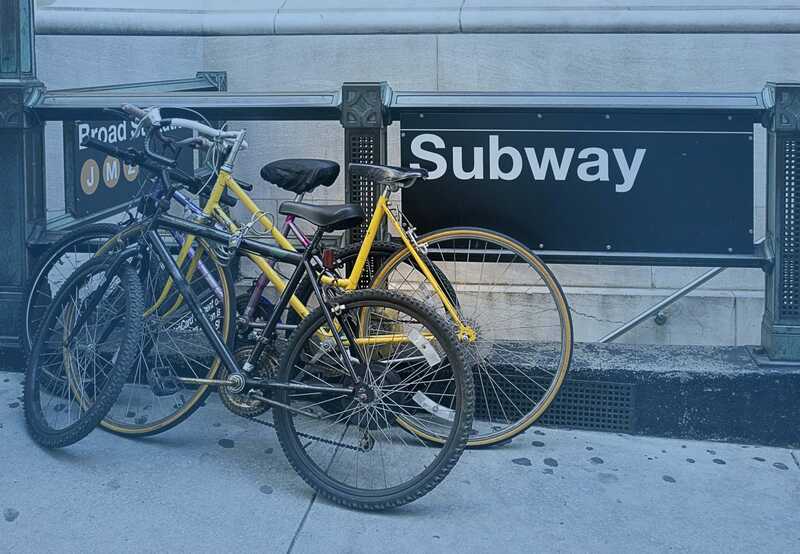 He has assisted the American Association of Justice in the production of their first "Bicycle Litigation Packet" prepared to assist lawyers across the country in the preparation and litigation of a bike collision claim. Great job- very clear explanations- terrific preparation. Thank you. Extremely interesting topic. I will be curious to see how the ebike laws change over the next few years. Very relevant, especially with the increase in cyclists. Material was very informative and well presented. One of the most thorough! I would have liked some additional information about pedestrian-bicycle accidents. very timely and interesting seminar. I look forward to the update! Very well organized and informative. He hit all the issues that are of concern when litigating these cases.